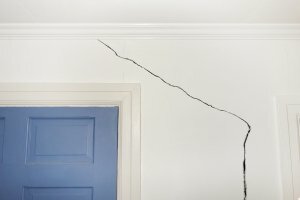 Replacing the foundation of your home can cost a fortune, so before you make the decision to do it, you should look into your foundation repair options. You can obtain foundation repair serving San Antonio for just a fraction of the cost of a total foundation replacement, and it will make your foundation strong and level again. How exactly does it work? Here are the steps that are taken when a foundation company uses piers to raise and support your existing foundation. Before anything is done, a contractor will assess the property, mark off any gas lines surrounding the home, and then indicate where the piers will be placed to fix the foundation. The soil in those areas will then be excavated in order to give the contractor access to the foundation. Once the soil is removed, the contractor will also chip the foundation and make it smooth so that support brackets can be installed. When the excavation is finished, it’s time for the contractor to drill the piers down to the desired depth and install the support brackets that go on them as well as the hydraulics. Each of these must be installed properly before moving on to the next step to ensure that the home is raised the right way. Once the piers, support brackets, and hydraulics are in place, the hydraulics can be used sequentially in order to raise the home to the desired height. The contractor will make sure that the home is level throughout the process. Fastening plates and support brackets will then be permanently attached to the piers, and the contractor will record the depth of each pier as well as the pressure and elevation readings for each of them. After the foundation repair is complete, it’s time to replace the soil that was excavated and take care of any landscaping that needs to be done to make the exterior of the raised home look great again.